PTSuks Uncanny World: Video : DayZ - The world on Fire! Fun with Chemlights and Flares! Video : DayZ - The world on Fire! Fun with Chemlights and Flares! 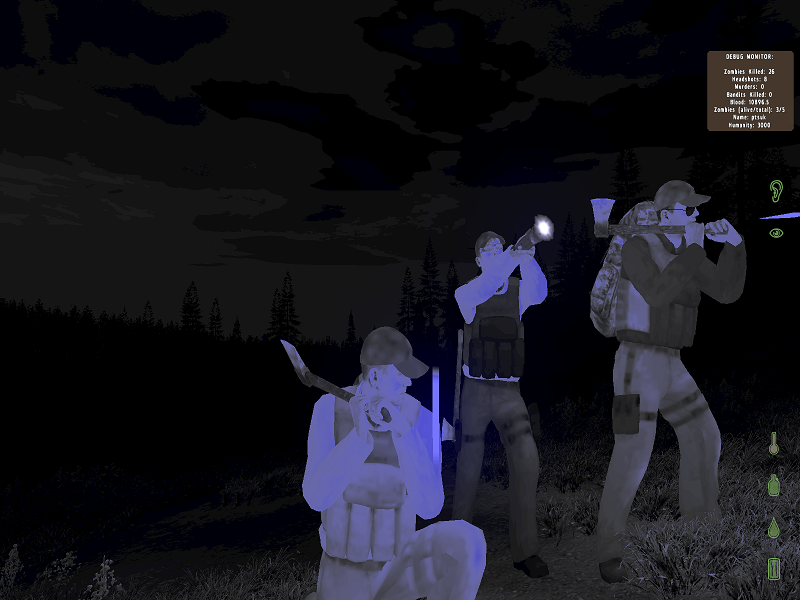 Here is a screen cap of a shot of myself and friends all running around with blue chemlights and flashlights, because we ran out of flares. The idea worked pretty well, so far in that we were on a low pop server. If we were to try this on a high pop server then i'm sure we'd be sitting ducks for any bandit or newb with a rifle, as you can see the glow from pretty far off. We had two people with flashlights shining around looking for zombies if we were in an area that would have them and one guy who was the executioner. Occasionally two of use would have to use axes but we got pretty good at the system we came up with. Same idea goes for use of the flares except that the flare will illuminate a very large area so flashlights aren't really needed. You can video below our fun with flares, chemlights, and looting various buildings in town. Speaking of town, I don't know why but the town I started up in last night was on fire, as well as the surrounding area! Certainly made for easy navigation in an otherwise pitch black night!